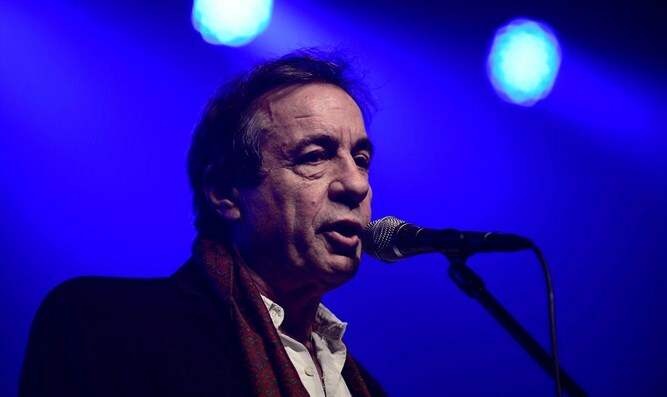 Israeli poet and songwriter Yehonatan Geffen addressed on Saturday night the short poem he had written on social media which was met with furious reactions from various public figures. On Monday, Geffen had published a short poem on his Instagram account, comparing PA teenager Ahed Tamimi, who was documented harassing and slapping soldiers in the village of Nabi Salih, to heroic victims of oppression throughout the generations. These comparisons went from David's fight against Goliath to Chana Senesh, who courageously parachuted into Europe to rescue Jews during the Holocaust and was later tortured and murdered by the Nazis, to Anne Frank, murdered in the Holocaust, whose poignant diary has been read by millions. Geffen placed a picture above the poem showing Tamimi slapping one of the soldiers. He did not mention that the IDF soldier did not react so as to avoid the violence she wished to incite and that Tamimi was arrested later by police. Geffen's poem sparked an uproar and calls to cancel scheduled appearances of Geffen in the future. Defense Minister Avigdor Liberman said that he had instructed Army Radio to stop playing the works of, or interviewing, Geffen. “The State of Israel will not grant a platform to a man who compares a girl who perished in the Holocaust and a heroic warrior who fought the Nazi regime with the brat Ahed Tamimi, who attacked a soldier. Geffen’s headline-seeking is sickening and outrageous,” Liberman said. Speaking during a concert in Petah Tikvah on Saturday night, Geffen expressed remorse for the comparison of Tamimi with Chana Senesh and Anne Frank.